Jennifer will be speaking at the Pen Parentis Literary Salon at SUMMER LOVE, a Salon at Andaz Wall Street RSVP here. Meet 75+ International Best Selling Romance authors from around the world Join us for this international event. All authors will be in the venue ready to meet you on 23 June. Spend your day going to each author table to meet, get books signed, and even take pictures with them . Make new book friends from around the world while meeting your favorite or new to you authors. 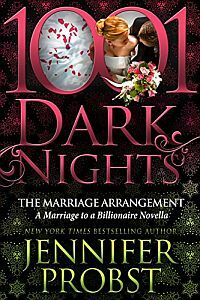 J.R. Ward & 1,001 Dark Nights present Readers on the River A two-day reader event filled with panels and parties, a special plated luncheon with J.R. Ward, a signing with all attending authors, a 1,001 Dark Nights Sparkler, swag and surprises!